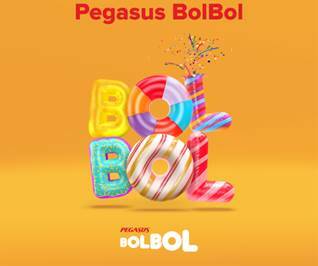 Pegasus, the airline that believes it’s everyone’s right to fly, relaunched its frequent flyer programme, “Pegasus BolBol”, now offering guests even more benefits and rewards. Following the programme revamp, existing Pegasus Plus members will automatically become members of Pegasus BolBol and will be able to log in to their Pegasus BolBol account using the same mobile phone number and passwords; they will also avail of all the new functions and features. Pegasus BolBol members can log in to their BolBol membership accounts on flypgs.com and the Pegasus mobile app, search for flights then select the BolPoints option to buy flights with their BolPoints. Pegasus guests now have the chance to earn lots more points with Pegasus BolBol. As part of the programme, you will earn 100 TL worth of BolPoints for every 100 TL worth spent on flights, 250 BolPoints for check-in on internal flights in Turkey and 500 BolPoints for check-in on all international flights. Guests can not only book their flights or pay for extra travel services such as seat selection, extra baggage, meals and Flex with their points, but they can also pay for their flight taxes or service charges with their points. It’s also possible to earn points on partner purchases – such as 500 BolPoints for car rental with Budget or Avis and up to 15,000 BolPoints for hotel bookings via Rocketmiles. It’s free and easy to join Pegasus BolBol without needing to carry a membership card as you just use your mobile phone number as your membership number. For more details about the revamped Pegasus frequent flyer programme, please visit www.flypgs.com/bolbol.